The Windsor Cast Stone Mantel is an elegant mantel and made affordable from cast stone. This is a beautiful Italian design with fluted columns. Cast stone is a man made stone that looks and feels like natural stone. It looks like real limestone because it is made from real limestone. It is lighter and because of that easier to install. It is also a great option where weight is an issue. Consider having this traditional Italian design made from marble. We offer an array of materials to choose from. 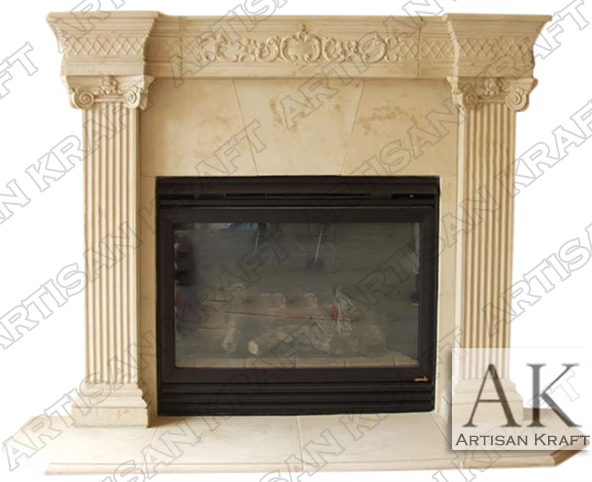 Windsor precast fireplace mantel is a cast stone fireplace surround with fluted scamozzi columns and a decorative mantel shelf frieze. Cut off corner hearth.